It has been at least a few years since the Rare Beer Club featured a weizenbock as one of its featured selections. The most recent example I dug up was Meantime Brewing Co.’s Limited Edition Weizen Double Bock, which the club featured back in August 2014. This style, as is true for many of the more out-there traditional beer styles in the world, has tended to find more frequent expression outside its country of origin (although many of the tastiest classic examples of the weizenbock space still definitely come from Germany). But the fact that the club’s 2014 weizenbock example was from England—and this newest one from Les Trois Mousquetaires in Quebec—kinda echoes the general state of the weizenbock style overall. The history of weizenbock generally traces its lineage back to Schneider Aventinus, which was introduced by famed weissbier producer Private Weissbierbrauerei G. Schneider & Sohn in Bavaria back in 1907. 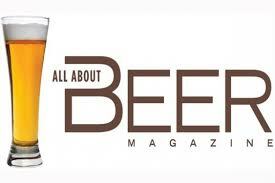 That said… writer K. Florian Klemp noted in the (since-defunct) All About Beer Magazine that bock used wheat way back in the pre-Reinheitsgebot 14th century; in that frame, this combo of wheat + strong malty beer has at least been explored a bit before. For modern drinkers: I’ll say that these beers are some of my favorite to seek out, combining the fluffy, toasty contributions of wheat with that rich, malty focus of a bock or doppelbock. If you’re digging the Les Trois Mousquetaires example, there’s a decent chance you’ll be able to find some other weizenbocks locally. Aventinus, Weihenstephaner’s Vitus, and Ayinger’s Weizenbock are worth checking out and on the more readily available side. My personal fav in this general space is probably The Livery’s Bourbon Barrel Aged Wheat Trippelbock from Michigan—which clearly takes everything up a few notches. Have a local weizenbock you’re digging, or a fav classic? Let the club know what’s tasting good on Twitter: @RareBeerClub. If a fruit exists, there’s a solid chance it’s been made into a beer by this point. 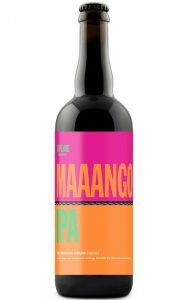 But mango is one of those periphery fruits that, while used nowhere near as frequently as classic additions like, say, cherries and raspberries, still tends to feature consistently well in beers like tropical IPA. Hop varieties like Citra, Galaxy, Mosaic and Azacca can give mango notes to beer sans the addition of actual fruit, while providing easy anchor points when using actual mango. For folks looking for more mango-y options, there are a bunch about. 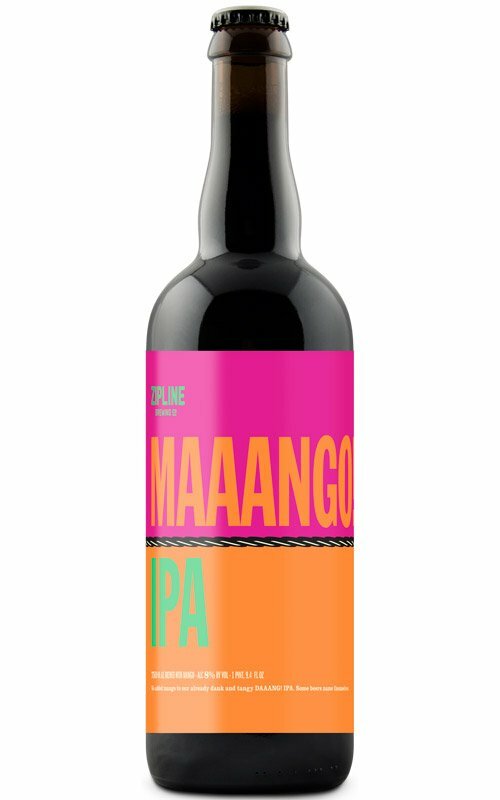 In additional to your local brewer’s seasonal options, Omnipollo’s Bianca Mango Lassi Gose has seen some solid distribution stateside, melding mango puree to a gose framework. For a fruited IPA of more biblical proportions, keep an eye out for To Øl’s Garden of Eden, an IPA with additions of apricot, guava, mango, papaya, and passionfruit. It might even prevent scurvy. Got a mango beer you’ve been digging? Let us know what’s tasting good on Twitter via @RareBeerClub. 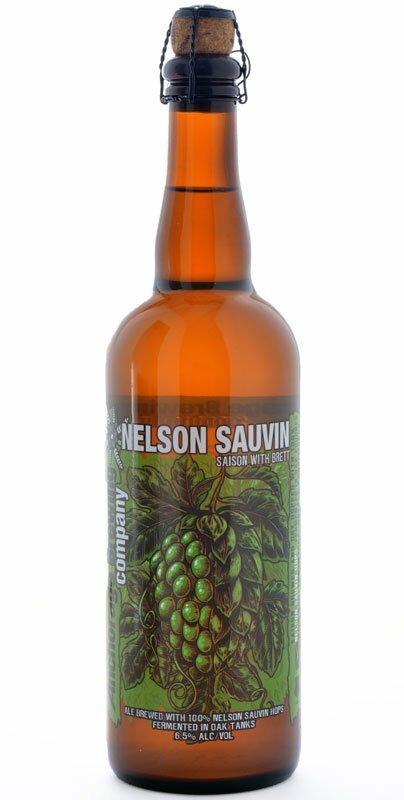 Anchorage Brewing Co.’s Nelson Sauvin, one of the two Rare Beer Club featured beers this month, is brewed with 100% Nelson Sauvin hops—a particularly forward variety originating from New Zealand’s Plant & Food Research back in 2000. The variety comes from the New Zealand “Smooth Cone” hop, itself an offspring of old-school California Cluster. Characteristics of Nelson Sauvin hops emphasize a focus on “fresh crushed gooseberries” (a common descriptor for New Zealand’s Sauvignon Blanc). The hops also can include tropical character along the lines of lychee, passion fruit, lime, mango… Nelson Sauvin was one of the major early impact hops, and it can bring exceptional potency and zest into a beer. 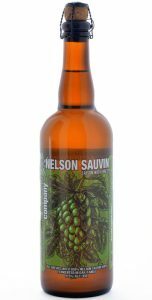 If you’re digging the Anchorage Nelson Sauvin, where its pungent qualities are set alongside the impact of Brettanomyces, there are at least a couple other examples highlighting these hops (with greater availability). Alpine Beer Co.’s Nelson IPA is one of the key options with larger distribution, while 8Wired’s HopWired IPA is packed with Nelson Sauvin alongside various other New Zealand varieties. Mikkeller’s also featured a variety of Nelson-Sauvin-y releases. Have a local New Zealand-hop beer you’ve been digging? Something like Motueka more your thing? Let us know what’s been hitting the spot on Twitter at @RareBeerClub. Not that we could use any comfort, but the semi-solid firmament of winter seasonals can be pretty reassuring. Over the course of a year, there aren’t too many seasonal beer releases that I still keep up with, which I think makes me busy and normal. With so many signals firing in beer and beyond, I’m just not getting into seasonal habits as often as I used to. My wife and I got into snagging around February each year—back when we lived on the east coast within distribution range. Victory’s Summer Love, a golden ale that’s right up there with Firestone Walker’s 805 for us, remains a summertime staple. And we typically snag Sierra Nevada’s annual Oktoberfest collabs. Beyond that… it’s mostly winter seasonals. Between picking out things to share with family over the holidays and/or just having things to look forward to as we head into drearier months (though appreciating the rain in NorCal at the moment), one tends to make deeper attachments to end-of-year seasonals. We picked up a case of Sierra Nevada Celebration as soon as it hit shelves, as we do. 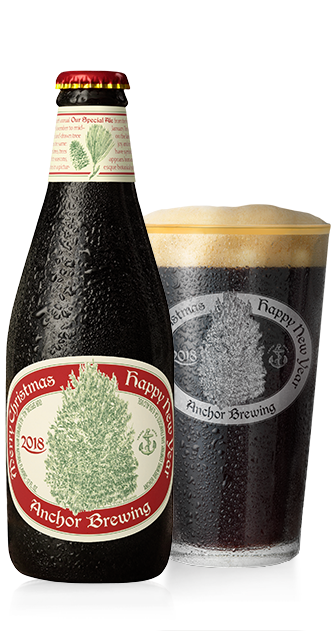 Ditto for a sixpack of Anchor’s annually tweaked Christmas ale. Going forward, any seasonal habits we pick up will probably be at our go-to breweries here in Sonoma County. Have you been keeping up with seasonals the way you used to? Which winter releases are you still looking forward to each year? Let us know what’s been hitting the spot over on Twitter via @RareBeerClub.